The true essence of sushi making is a true art form that is done by talented sushi chefs that have years of experience. However, like any other food it can be made at your very own home. It might not be just like sushi in the restaurant, but if you have all your ingredients you can come really close to making some great sushi.Homemade sushi can taste great if made right. Making sushi can be a very fun and gratifying experience that you can do together with your friends and family members, or who ever loves sushi. When you make your own sushi at home, the cost of the meal is about half as much as you would pay at a sushi restaurant. 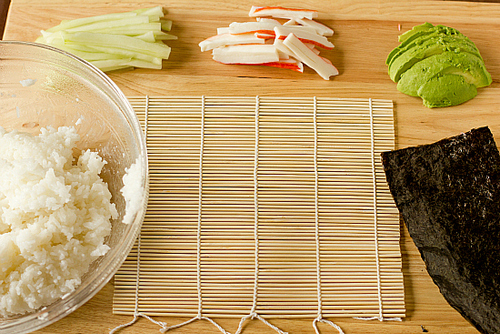 All it takes is some basic ingredients and some tools found around the kitchen to make sushi. So let us see what it takes for you to get your sushi making started! The first thing you will need is to obtain some sushi rice. You can find sushi rice in most supermarkets, it is simply labeled as sushi rice. 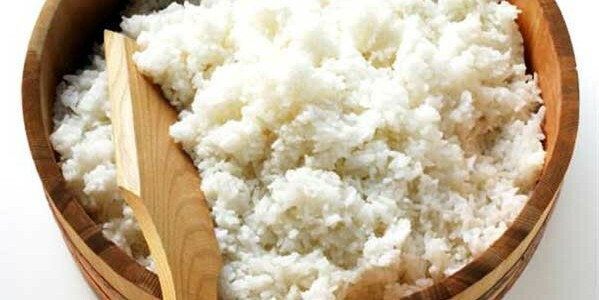 If you cannot find sushi rice, look for a rice variety called short grain rice. Other types of rice that have long grains will not work. Short grain rice or sushi rice is stickier due to the extra starch it has. Cook the rice like you would cook any normal rice. You can use a rice cooker, or do it on the stove. The rice has to cool off before you can work with it. When was the last time you had hot sushi? 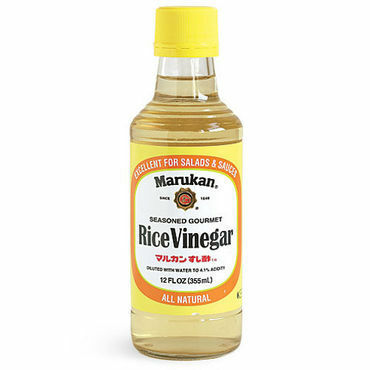 Sushi rice is typically seasoned with rice vinegar and salt. How much you you will need to pour in will depend on the size of the batch of rice you made. In our recipes will will usually tell you the right proportions. Stir the rice until it is properly seasoned and begins to feel sticky and clumps up. 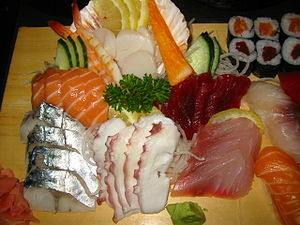 Obtain the freshest ingredients that you would like to be in your sushi. This article will not have a specific sushi type, so visit our specific recipe page for you favorite sushi. You often see sushi made with salmon, tuna, eel, shrimp, and other fish. The vegetables used are often avocados, cucumbers, carrots, and others. Basically you can put what ever you like into these rolls. There is no set ingredient unless you are making a specific sushi. Buy yourself a bamboo mat. It is pretty cheap and makes rolling sushi pretty easy. Place some saran wrap over the bamboo mat so it does not stick to it when you roll sushi. Sushi seaweed is usually called nori in other countries. Look for it in either name at your supermarket, or try an Asian market if you cannot find it. The nori is placed onto the mat, with the rough side of the sushi seaweed facing you. You put the rice onto the rough side. Make sure you wash your hands good because you have to use your hands to make sushi. Have a bowl of water next to you so you have wet hands. You grab about a handful of rice and place it on top of the nori. Spread it out but do not force it down. Lay out your ingredients on top of the rice. Rolling sushi can be a challenge at first. However with some practice you will get a hang of it. 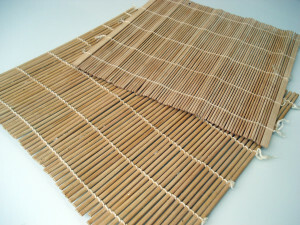 Use your fingers to roll the bamboo mat into itself. Do not press to hard you only want to compact the sushi roll a little, but not break it. If you want to make it easier on yourself, buy a sushi making kit. Cutting the roll is pretty simple. Get a good sharp knife and cut it into pieces. Just eye ball your cuts they do not have to be perfect! Here at OsmSushi.com we have some really great easy sushi recipes that you can try yourself at your home. Select a recipe from the navigation bar!